Some 2,500 new hotel rooms are expected to come online in Miami in 2015, according to the Greater Miami Convention & Visitors Bureau. While new hotels are expected to be added across all price points, now more than ever the industry is filling in at low- to mid-level offerings and across many Greater Miami neighborhoods, from Brickell to Surfside. The bureau tracks the hotel industry using resources like Smith Travel Research and Ortiz. “There long been a significant build-out on the mid- to high-end of hotels. Now, our portfolio is continuing to be rounded out,” said Roland Aedo, the bureau’s vice president of tourism marketing. In 2014, about 3,000 hotels rooms were scheduled to open. Included in that number still are high-end properties like the Thompson Hotel, but moving forward more economy hotels will begin to open. “We pride ourselves on being this very aspirational destination, and that helps. However, we want to be a destination that has a product line for as many customers as possible,” Mr. Aedo said. There is still momentum on the luxury hotel end of the spectrum, he said, but the lower end is beginning to fill in. The 2,500 rooms the bureau is tracking in 2015 includes everything from another SLS Hotel to a Faena Hotel Universe on Miami Beach, a luxury art-inspired campus just south of the Fontainebleau. A Hyatt is also to join South Beach. Homewood and Hampton Suites are also to be added to the market in 2014. Currently, the Greater Miami hotel industry is at the point in its cycle where hotels are filling in at all price points. “It’s a very, very lucrative market and we continue to invest in our destination,” Mr. Aedo. The Greater Miami brand is similar to that of a luxury car, he said. Initially, high-end luxury offerings entice and draw in the buyer, and once you’ve established the brand as high quality, it’s possible to follow suit with offerings of equal quality at a slightly less expensive price point, he said. It’s not just that developers are building hotels, but hotel purchases also are becoming more common. “People want to have Miami real estate in their portfolio, whether it’s a hotel or an office building. A lot of investment groups are asking for the performance of tourism and hotels, so the bureau is more and more involved in that,” Mr. Aedo said. Beyond 2015, the bureau is tracking about 800 rooms that are currently slated to open in 2016. “There is another SLS coming online in Brickell. What’s really exciting is the Hyatt Hotel in Midtown. Midtown is one of the most vibrant parts of the community, but a hotel was the missing link,” Mr. Aedo said. As hotels fill out across all price points in Greater Miami, it appears that the many neighborhoods are following suit and cashing in. Joining the SLS Brickell in 2016 is the new Atton Hotel, the first in the US for the Chilean company. 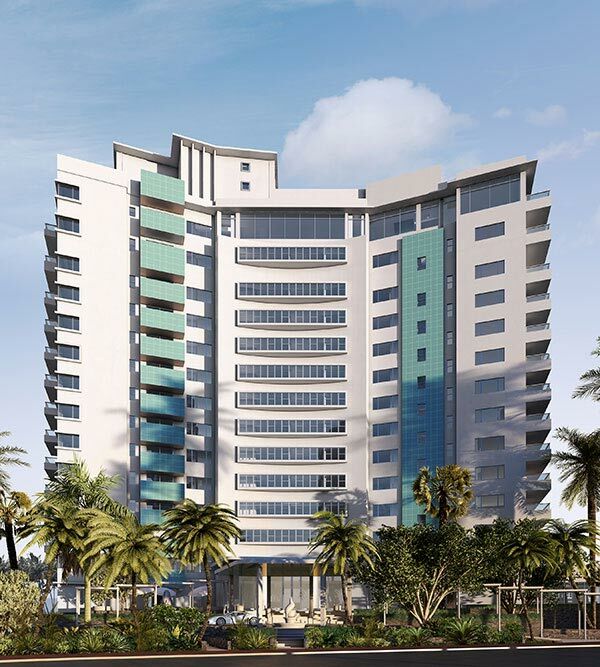 In addition to Midtown and Brickell, Surfside is due to welcome a new hotel in coming years. In 2016, a Four Seasons is to open at the Surf Club, 9011 Collins Ave.
“These amazing brands are coming into more and more diverse parts of our community, while South Beach and Miami Beach continue to be the epicenter of our industry,” Mr. Aedo said. One of the most exciting upcoming projects is still in the beginning stages of development – a Miami Beach Convention Center headquarters hotel. The Miami Beach City Commission designated a site behind the Fillmore Miami Beach, and the hotel is expected to add hundreds of rooms to the market. “A hotel there would also be a tremendous benefit for Lincoln Road, the New World Center… It would be an amazing asset,” Mr. Aedo said. Because of its connection to the convention center, the headquarters hotel is not expected to compete tremendously with existing Beach hotels. “If someone wants a beachfront hotel, they’ll go to a beachfront hotel,” Mr. Aedo said. The bureau isn’t currently tracking the headquarters hotel or the potential Miami Worldcenter project, which could add thousands of rooms to the market in coming years.